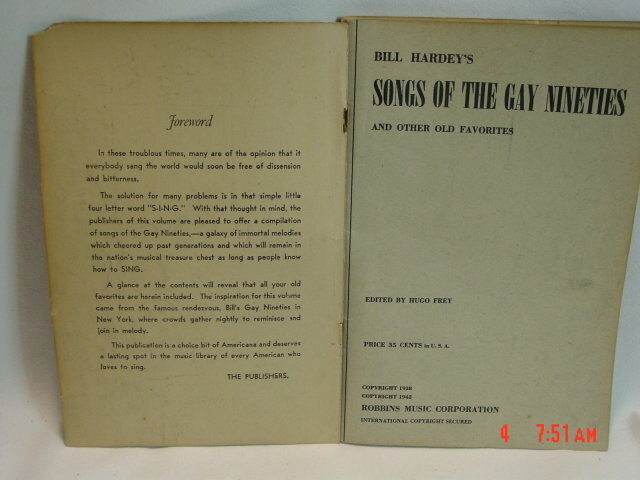 Bill Hardey's Songs of the Gay Nineties and Other Old Favorites edited by Hugo Frey and published by Robbins Music Corporation, copyright 1942. 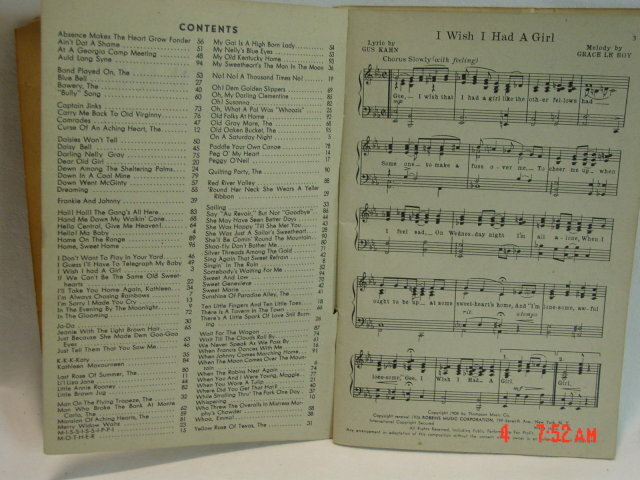 96 page booklet containing music and lyrics to 104 songs. 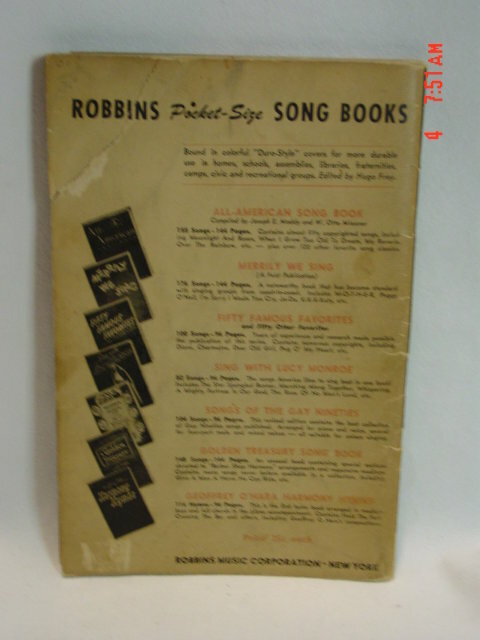 The cover has come apart and off of this stapled booklet but all pages are in great condition. 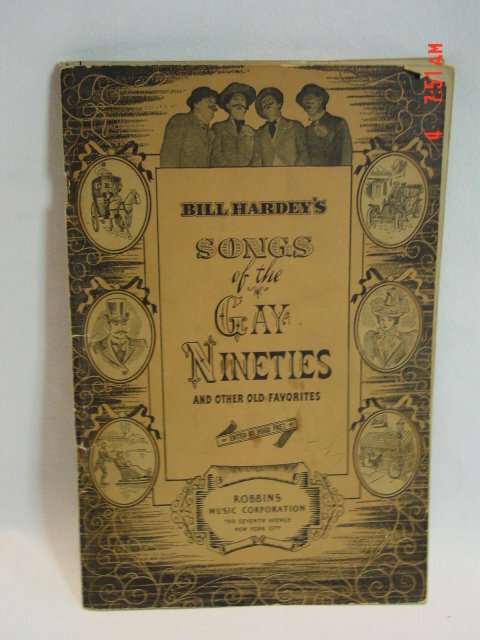 Items Similar To "Bill Hardey's Songs of the Gay Nineties and Other Old Favorites"